From donuts to dry cleaners, barbers to butchers, online consumer reviews are highly influential and here to stay. And for hospitals and medical practices, the stakes are especially high. 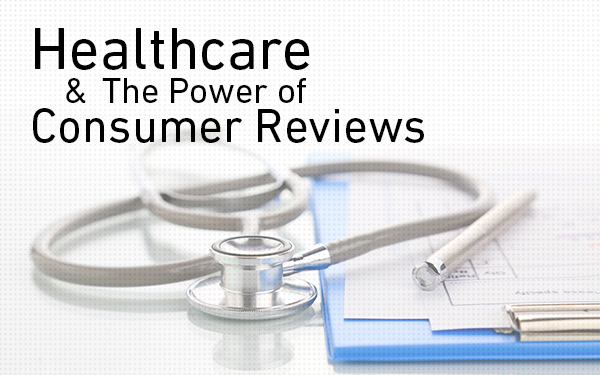 As out-of-pocket healthcare costs have gone up, patients are increasingly shopping review sites to research providers. And as digital natives continue to come of age, this practice will only increase. In addition, with the full implementation of the Affordable Care Act, the government has begun taking patient satisfaction into account in determining how much to reimburse hospitals for Medicare patients. Historically an afterthought, patient satisfaction has quickly become a top priority. Savvy providers are employing reputation management strategies as a key component of their marketing plans. Tactics include monitoring and responding to patient feedback on healthcare specific site such as healthgrades.com and vitals.com or everyday social spaces including Facebook and Twitter. But reputation management for a physician or hospital is more nuanced and more complex than that of an eatery or retailer. For example, for physicians mainly concerned with patient outcomes, it can be frustrating to receive poor ratings for what they consider comparatively trivial issues such as wait times and bedside manner. Another thorny issue for providers is patients who are essentially looking for a diagnosis via social media. So it seems like healthcare providers are damned if they do and damned if they don’t. And unfortunately, there’s some truth to that. So how are forward-thinking healthcare marketers walking this very fine line? 2) Be transparent. Patients crave transparency in their medical care, and this need carries over into their online interactions. Being truthful and providing all of the facts at your disposal helps patients realize the full scope of any situation. With that said, privacy trumps transparency. If a dialogue gets specific, the right move is to quickly redirect the conversation off-line. 3) Be courteous. This should go without saying, but is sometimes easier said than done! Patients facing medical issues are oftentimes fearful, stressed or generally not themselves, and this may be reflected in their comments. Engage with a polite, confident and sympathetic tone. And again, feel free to politely and firmly move the dialogue off-line to protect patient privacy. The stakes are high for healthcare providers, and a practice’s reputation is being shaped every day online. By being proactive, transparent and courteous, providers can help shape the dialogue and build even stronger patient relationships.